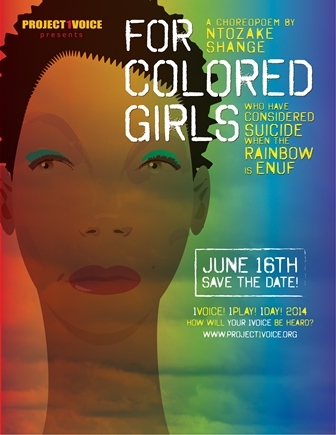 The Ensemble Theatre joins Project1Voice and a nation-wide collaborative in the stage reading of For Colored Girls Who Have Considered Suicide When the Rainbow is Enuf by Ntozake Shange, Monday, June 16, 2014, 6:00PM, 3535 Main Street, Houston, TX 77002. This year’s reading of For Colored Girls… is being used by several participating theatres as a platform to promote wellness for women and girls in the African American community and to expand the conversation about the well-being of women and girls by promoting literacy; providing access to health information and services; raising political awareness; and engaging in the arts. They are showing that theatre is more than entertainment; it can be a useful tool in educating, raising awareness, and bringing about a call to action. 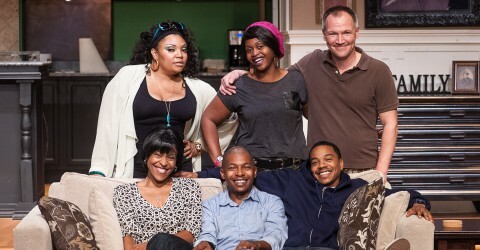 • AIDS Foundation Houston will provide testing before and after the reading. • Houston Area Urban League will distribute information about affordable care enrollment. • Dr. Marketa Wills and Psychotherapist Josephine Tervalon will provide information on mental health and emotional trauma.